Aphrodite Sterling Silver Stacking Birthstone Ring is a vintage inspired way to stack the birthstones of those that you love. The base Aphrodite Sterling Silver Stacking Birthstone Ring design includes one handcrafted, handcast sterling silver ring with a band width measuring approximately 1.85mm and set with a 3mm simulated birthstone. Choose between time-worn plain, pyramid stud, irregularly shaped beaded or classic leaf. Bands are narrow so that several rings may stack on the same finger. Stack the Aphrodite Sterling Silver Stacking Birthstone Ring with our initial rings, vintage-inspired bands, birthstone rings or with your own collection of rings. This design is custom made in our California-based studio. As each unique piece is crafted by hand, slight variations will occur. 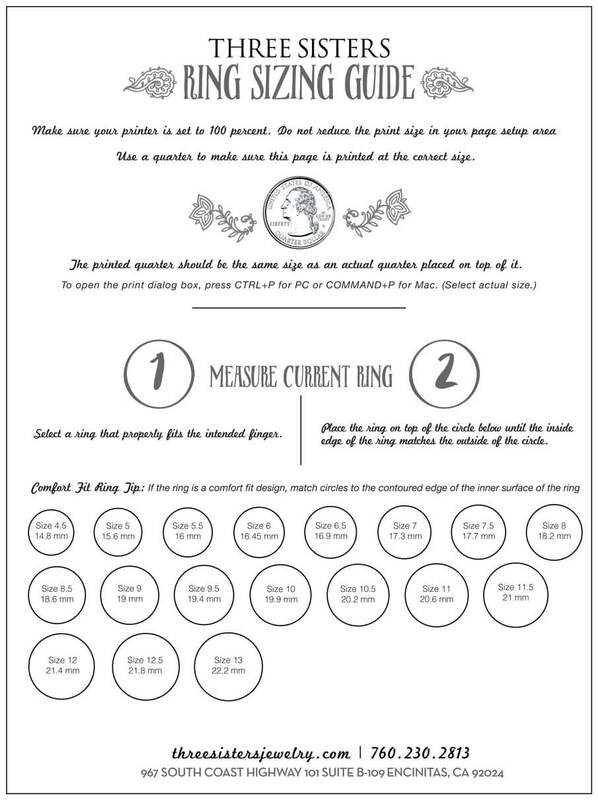 We guarantee to make the size that is ordered but we cannot be responsible for ring sizing. This is a made-to-order design and changes in sizing will result in a resizing fee. Please note that the bands on the beaded edge design are designed to look like vintage pieces and therefore are intentionally, irregularly shaped. I liked the rings I found on the internet. Received this ring with my daughters birthstone from my husband for my birthday. Since I have 2 other kids, I can't wait to get 2 more rings with each of their birthstones! Love this ring! Three Sisters Jewelry Response: Thank you so much Mom of 3 for your nice review! We love hearing from our customers and appreciate your kind words. Thank you!